Figure 4-5. Oil pan and oil pump, exploded view. can be readily replaced in the correct timing. screws (3), nuts (5), and washer (4). Lower pan (6). b. 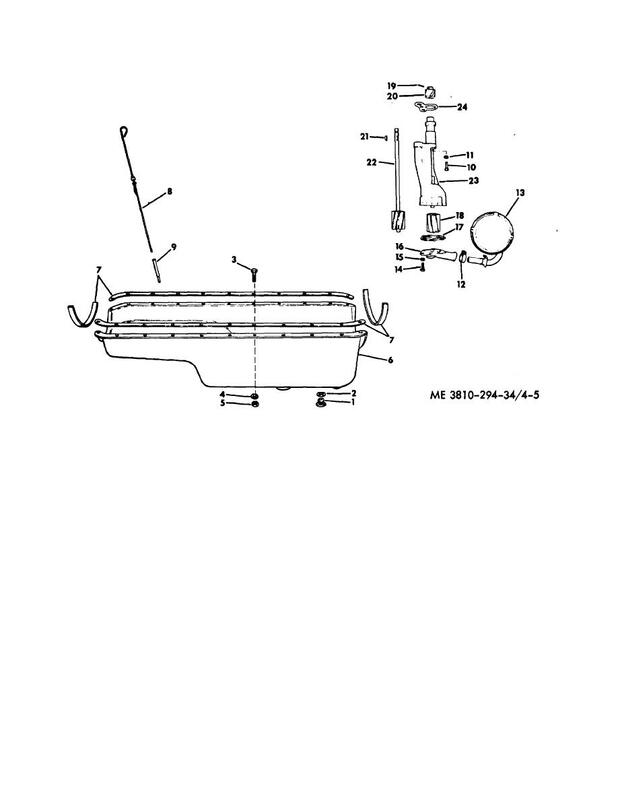 Remove gasket (7), dipstick (8) and tube (9). the shaft can be again set in the same position.